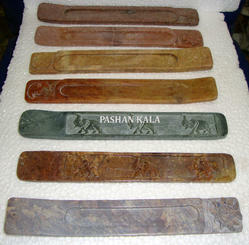 We procure a complete range of Soapstone Decorative Incense Sticks Holder in different shape and size. Our experts pay attention to each and every detailing done on these Incense Burners to provide exclusive product as desired and appreciated by our global client. Being a perfect blend of traditional style and modern design, these Burner are an ideal gift for your friends and family. With this collection of Black Stone Insence Holders, we have earned huge prominence in the market as one of prominent Soapstone Incense Stick Holder manufacturers and exporters in india. Our Stone Holder reflects excellent craftsmanship that is appreciated by one and all. We manufacture Stone Incense Stick, Soapstone Carved Incense Burners, Incense Catcher, which are highly aromatic and captivating. Our product can easily attract anyone with their intense and crafted art workmanship. Offer in various shape, size our burner is in high demand by our client’s spread across the globe. We also offer customized solutions as per client requirements. 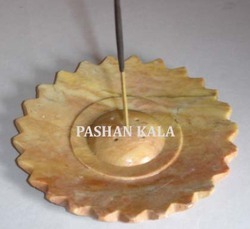 We offer Incense Stick Burner which is offered to our customers at industry leading price. 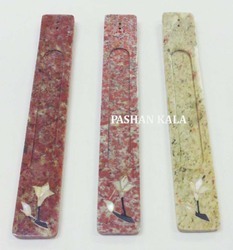 These Soapstone Incense Stick Holder are manufactured using quality material and are available in variety of shape, size and packaging as per the client requirement. Crafted to perfection these Incense Stick Holder are highly preferred by the global customer. The Black Stone Incense Stick Holder offered by us are available in different shape and size to hold Incense Sticks of varying sizes. These Stick Holders are beautifully crafted and are specifically designed to hold incense stick. The ethnic designs of our Stone Incense Stick Holder allow these to be widely used in temple and other religious places, along with houses. Being industry leader we offer a wide range of soapstone incense stick. 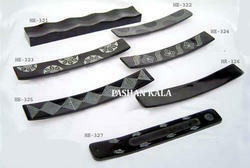 They are made by using natural soapstone color that may vary as per the requirement of the respected client. We offer these incense holders in various attractive colors and models. 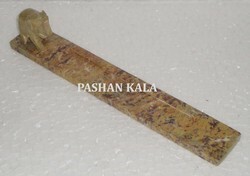 We are an eminent name, which is engaged in delivering Soapstone Incense Burner at clients' premises. The offered range of decorative boxes is manufactured utilizing high grade raw material such as marbles and soapstones, sourced from trustworthy vendors of the market. Along with this, the offered range of decorative boxes is suitably checked on different characteristics to maintain its authenticity throughout the designing process. The Stone Incense Stick Holder offered by us are offer in different shapes and sizes to hold Incense Sticks of varying size. These Holders are beautifully crafted and are specifically designed to hold Incense Sticks. Customers can be avail with the affordable rate of Incense Stick Burner. Looking for Incense Stick Burner ?